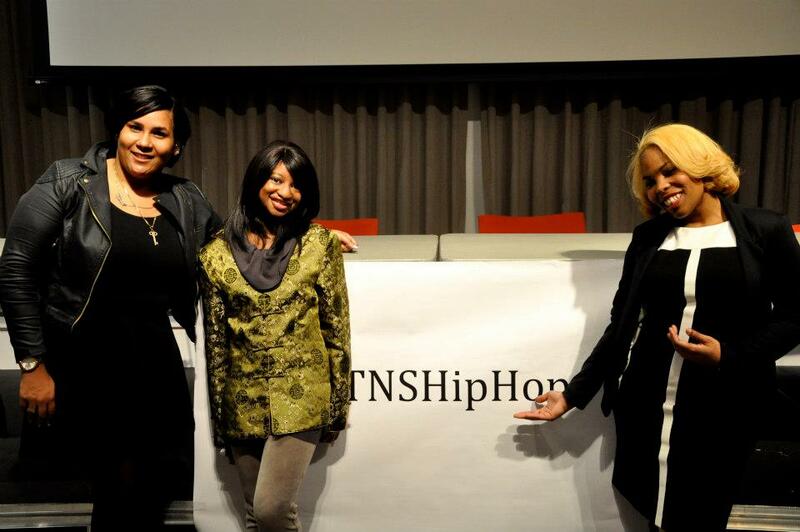 This past February, 2013, Jazzi Johnson co-planned (alongside Lauren Peterson and Brandice Taylor) the successful New School University event: “Hip Hop: Race, Politics, and Hyper-masculinity.” On the day of the event, all three held their weight in setting up, while individually taking control as Lauren Peterson handled all digital media, Brandice Taylor acted as moderator, and Jazzi Johnson focused on the Social Media aspect, live-tweeting from the accounts of @TheNewSchool and @NewSchoolLive throughout the event. “Hip-Hop: Race, Politics and Hyper-Masculinity” explored deeper conversations of homo-eroticism, violence, objectivity of women and racial indifference throughout the hip hop community in relevant and insightful topics of discussion for 2013. The panel consisted of educators, musicians, journalists and pop culture aficionados including Shawn Setaro, Anthony Gaskins, Jozen Cummings, LastO, Mic Sean, Jen Johnson, Brad Wete, Roy Paul, and Sowmaya Krishanamurthy, and #TNSHipHop Contest Winner, Justin Jones. Having reached out to all divisions of The New School, external media outlets and city-wide hip-hop heads, enthusiasts, and experts, the event successfully jumped off with a packed house of 150 guests, and an additional 400 having watched the live stream online, (now up to an accumulated 600+ viewers online of the recording). The event was not only the first of its kind at New School, but a huge step forward for continued engagement of the like, with much momentum and anticipation for the next.